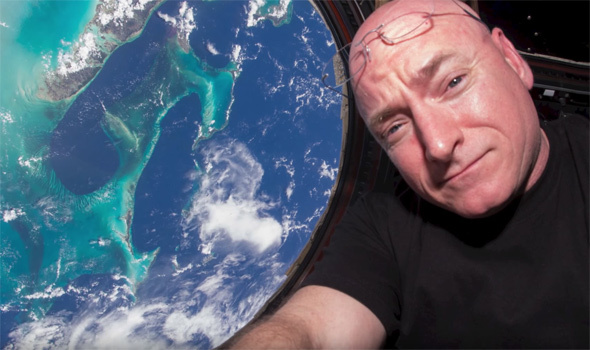 Scott Kelly, the american astronaut that spend nearly a year in space returned to Earth and we are happy to say he is healthy. One of the main goals of his mission was exactly that, to see how well humans can endure, mind, body and spirit when they spend a long time in space. Kelly said he feels ” pretty good ” and now he begins a year long of tests to monitor his health after his journey. So let’s help you out and try to answer some of the questions you might have about what happens to your body after a year in space. So what does a year in space can do to your body? So obviously the astronauts don’t walk any more in space, they float around from spot to spot, so the bones in the legs,hips and spine experience a decrease in load bearing. This usually leads to bone breakdown and the release of calcium which leaves the bone more brittle and weak. This release of calcium can also increase the risk of kidney stone formation and bone fractures. risks of the trade. When you spend a lot of time in space, your legs and back muscles begin to weaken because you don’t use them as much, this could lead to fall related injuries and accidents during exploration missions. Your heart will not have to work as hard while you’re in space, so after a while it may actually lead to a decrease in the size of the heart. There’s also a concern that the space radiation will affect endothelial cells, the lining of blood vessels which could initiate or accelerate coronary heart disease. The inner ear, is very sensitive to gravity will no longer work while you’re in space, so early in the mission astronauts will experience disorientation, space sickness and loss of sense of direction. When you get back to earth you will need to readjust to Earth’s gravity and most likely will have problems standing up, stabilizing your gaze, walking and turning, at the beginning any way. Astronauts know that they are exposed to higher levels of radiation while in space that could potentially lead to cataracts and cancer. There’s no 24 hours clock in space, so you’re body will need to adjust to that method once you return to Earth. Astronauts get a little bit taller in space, why? Because the disks in the spinal column are not compressed. let’s explain, while you’re on Earth, the disks are slightly compressed on each other due to gravity, in space, as you know, there’s no gravity, so there is no compression and the disks expand, and you get a little bit taller.